I’m a big fan of Xuron pliers, cutters, and specialty tools. They’re inexpensive, well-made (in the USA! ), and are quite handy. You get incredible bang for the buck in tools that you’ll never regret buying. 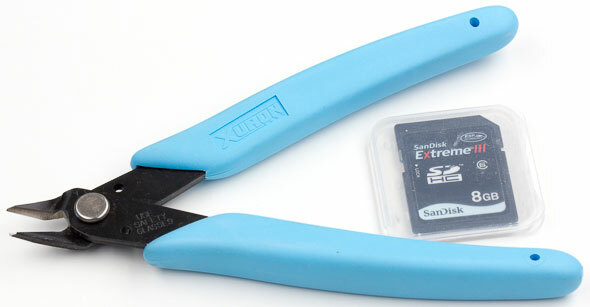 Xuron tools aren’t quite as well-featured as premium brands’ pliers and cutters, but they cost a fraction of the price. They’re simple, yet effective. 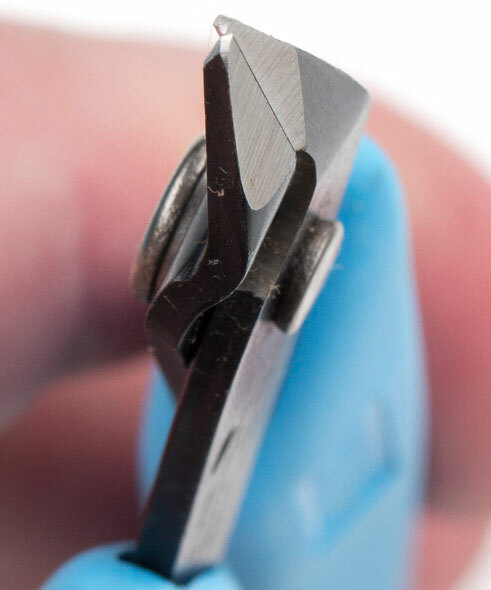 I mentioned Xuron tools a couple of times here in the past, such as in our Maker/Hobbyist Tool Buying Guide, split ring pliers tutorial, and at least two “boy do I love this brand” posts. One of my earliest Xuron tool purchases was for their 170-ii Micro-Shear flush cutter. I have added a number of other Xuron tools to my toolbox in the more than 6 years since, and each one sees regular use. 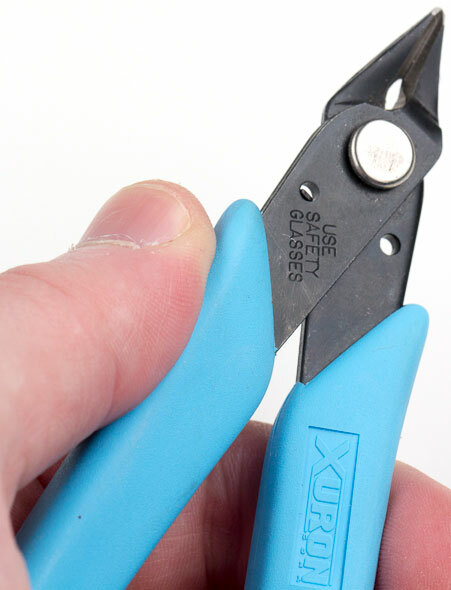 These Xuron Micro-Shear cutters can be used on wires as small as 30 gauge, and as large as 18 gauge (or about 1 mm). 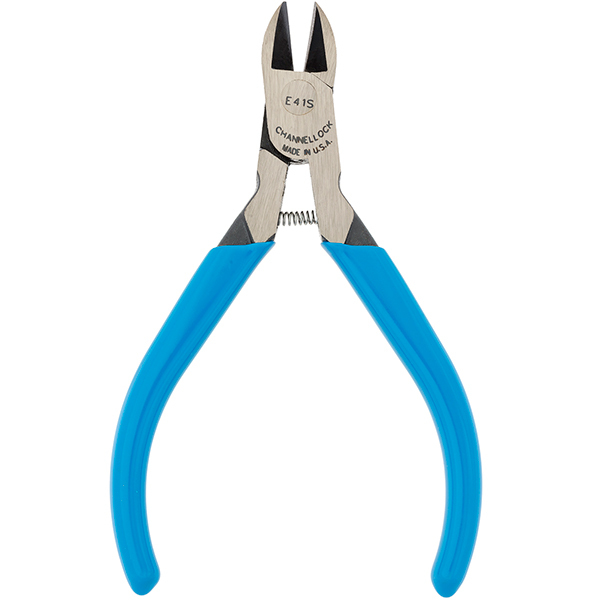 They’re soft wire cutters, and so they’re designed for use on things like copper wire, plastic sprues, nylon cable ties, precious metal wires (such as gold and silver), fishing line, and similar materials. Xuron Micro-Shear cutters are for precision electronics, jewelry, and crafting applications. 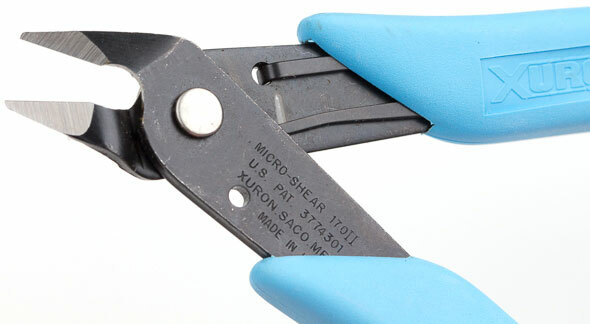 The 179-ii Micro-Shear cutter has spring-action handles. It’s a simple design, but one that works quite well. If you don’t like the spring action, you should be able to remove the spring, although it looks to be quite difficult to reinstall yourself. If it looks like the cutter tips are misaligned, that’s because they are. They feature a patented blade bypass effect which Xuron says reduces cutting effort and extends tool life, compared to cutters which have blades that meet edge-to-edge. In my experience, these cutters give a very clean cut. They don’t crush soft wires, at least not anywhere as much as non-precision cutters do. You won’t get the cleanest cut, but you do get near-flush-cut results. If you need perfectly square-cut wires, you’ll need to invest in a pricier tool. The handle grips are also simple, but comfortable to grip. The 170-ii cutter is 5″ long, which is a good size for electronics work. Xuron makes many other flush cutters, such as the 410 Micro-Shear cutter that’s said to be a “premium grade version” of the 170-ii, and the 9200 which is a heavier duty model. I’ve owned Xuron tools for years and best/most importantly of all these products are 100% American made. For the quality of their tools, these are very reasonable in price. Once again, I must disagree with you. The fact that they’re made in the USA is icing on the cake, in my opinion. If Xuron made garbage pliers and cutters in the USA, would you still buy or recommend them just because they were made here? I wouldn’t. Thanks Stuart. I like supporting American companies as much as the next guy, but quality is what counts. Thanks for the review and making me aware of these but regardless of who makes them I think a really important bit of information is missing. While we can say how great these cutters are till we are blue in the face but we really can’t compare apples to apples of cutters without the Rockwell Hardness number (HRC). So many manufactures claiming the same excellence regardless of price or country of origin but we all know a lot are made with cheap soft metal that go dull quicker than with a cutter made with a good high HRC hardened steel. It would be great if that information can be included in all of your reviews to knives and cutters. I’m sure the manufacturer has that information and would gladly provide it for a proper review. If they don’t, I would be suspect. Take Knipex for example, made in Germany they spec. their cutters steel hardened to 64 HRC. While I fully support buying US made tools whenever possible, I can’t and won’t support a manufacture who hides such vital info. I have found that, if certain technical specs are not available, companies won’t readily provide them, even to me. If available and relevant, I provide hardness data. But if such data is not available, it’s difficult to acquire such specs, and I’m not about to do my own hardness testing, at least not anytime soon. According to the Amazon page, the Rockwell hardness is 54-56C. But they have the max cutting capacity wrong, so this might not be accurate either. Thanks Stuart for the quick reply and you are correct if a company won’t provide the info then there’s not much you can do other than reporting in review that they will not provide you the HRC number. I’m a regular knife & scissor user and collector and in my experience when a company won’t state the hardness or even the steel used it’s usually a big red flag and proven so after use. Xuron is commendable for posting the info on Amazon but a HRC of 54 is not outstanding and rather soft but for $8 I guess it’s acceptable considering Knipex price is approx. $40, however I’m fairly certain the Knixpex will last 5 times longer than the Xuron and it can be re-sharpened. I do wonder how long a cutter with a 54 HRC will stay sharp after cutting copper? 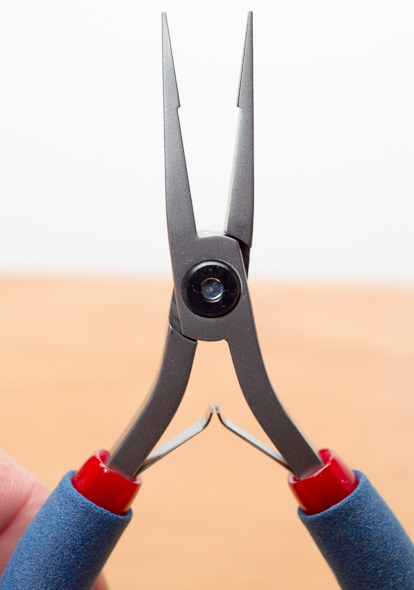 You should check out and review Tronex pliers & cutters their excellent and made in the USA. 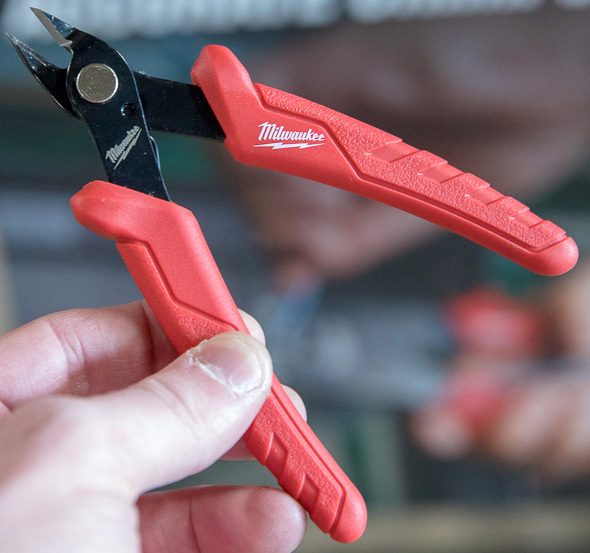 Tronex’s precision pliers and cutters are on my radar, but I promised myself I would review a bunch more of the precision tools I’ve bought in recent years before I either sought out review samples or purchased my own. You know Stuart, I’d like to think we can agree to disagree. For the record, I respect your stance. However, this might be challenging for others to believe, but I agree quality is important. I’ve been using Xuron tools for years and these are well made items. Quality is important, but at least to me, so is country of origin. At least in America, there was a time we put the interest of our country first and foremost. As in the long run, that made our stronger and definitely contributed to lower percentage of unemployment. I can’t speak for others, but several of my family members and friends have lost their jobs due to outsourcing. All of these people are hard working Americans that just wanted to earn a honest living. One of my friends after losing his job lost his house and unemployment left him hungry and nearly homeless. I’ve been hungry before, but I am lucky enough to have a job to be able to afford some basic food. Not everyone is that lucky and the percentage of jobs lost to outsourcing has increased drastically over the years. More than 3.2 million jobs have been outsourced according to this link listed. To answer your question Stuart, if the quality wasn’t there, I wouldn’t recommend Xuron. Are there some USA made items that aren’t that great? Sure. But this applies conversely as well. Unfortunately, aside from some specialty products, manufacturing is a developing nations business. Countries like our shouldn’t, and can’t, focus on it. Let the developing nations manufacture our goods. We’ll continue to run their factories, write their contracts, and sell their goods. Oh, and in many cases own huge portions of their companies. I used a pair of Xuron spring loaded cutters for YEARS working on a hog farm, clipping needle teeth on newborn piglets. They were just the right size to use one handed (the other hand was used to hold the pig), had a comfy grip, and cut very cleanly. The last part was important because if you could cut them clean enough, the root wouldn’t crack, and not only did it not hurt the piglet, they acted like they barely felt it. Best dang little cutters I ever used for the purpose. And to answer why we were cutting teeth, we only cut the needle teeth, the ones that grow into tusks as the hog ages. If you did it before they were 3-4 days old, they barely felt it, and it prevented a lot of bloody fights as the pigs aged. Probably the same factory just different branding. Are are good for FINE Electronics only . In my opinion. There are others on the market which are stronger but can also be used for fine electronics. That one’s an Xcelite, an Apex Tools brand. I’m not aware of any OEM relationship between Xuron and Xcelite, but the cutters do share some similarities. I also had several idential looking pairs which were sold in a combination pack, the flush cuts being marked Xcelite but the other pliers and the package branded as Crescent. My experience was in-line with your review – quality and the value for price was excellent. Perfect for flush-cutting zip ties. If you’re into model railroading like I am, Xuron rail cutters are a must. They have specifically designed cutters for both horizontal and vertical rail cuts in HO track, which result in fast cuts almost as neat as a razor saw would make at much slower pace and higher risk of damage to the track piece. I’ve gotten a bit wary over cutters made with stamped instead of forged handles/blades. Indeed they must only be used for dead soft copper and precious metal wire and terminals. However, not all electronic components have purely copper wire. Many electrolytic capacitors and other components use plated steel wires, and these can wreak havoc on these thin blades. Having used Xcelite versions that were similar to these, I found it didn’t take long for then to have chipped or curled areas on the cutting edges. These tools weren’t being abused but they seemed to be too easily damaged. I’ve been using Xuron for years, I have 7 or 8 in regular use and none have failed me yet. These flush shears are just the thing for cutting off electronics leads after soldering, leaving my boards with a clean, professional look. Hardness was mentioned. Xuron has specialized shears for hard wire and Kevlar as well, for more money of course. If you buy the correct tool for your application, you’ll get the correct hardness. 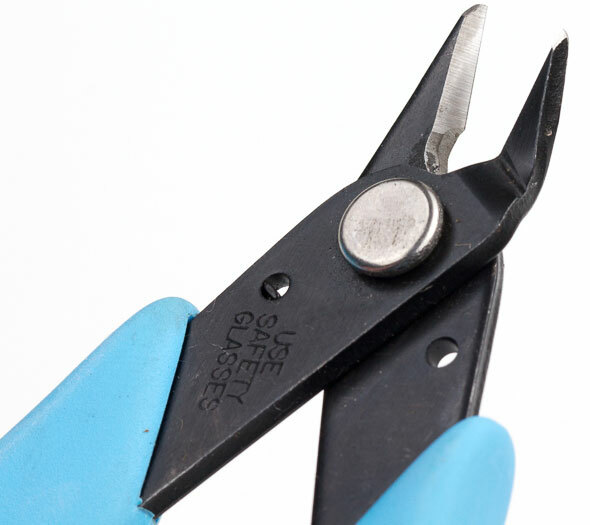 These cutters are what’s used by conscientious installers in Telecom installation work to flush-cut Ty-Raps – if they’re left non-flush, they can tear up cable jackets and installers’ arms. The Panduit or T&B tensioner/cutter tools are better than these cutters but cost a whole lot more. My Panduit tool got to me via eBay, which absolutely rocks for good tools. I have one of these Zuron cutters ordered a few months ago. I really like the fit and finish but was turned off by the alignment of the blade, at first. I thought it was a manufacturing flaw until I went to the Zuron website and read the description. Haven’t esued them, yet, but I plan to buy at least a few more pairs. As a network technician these exact flush cutters are an essential tool in my arsenal. No other flush cutters ive owned have lasted anywhere near as long (twice as long as my snap-on pair did) or provided such perfect cuts. When squeezing pairs of a cat6 cable through an EZ Pass RJ45 its essential that your pairs are sheered evenly and without even the slightest bit of smashing or fraying for easy pass through, these do that better than any others. They also provide a seamless and effortless cut to zip tie ends. Ps: if your ever cutting zip ties please use flush cuts so the next man who reaches past your cable bundle wont get his arm shredded by non-flush ends lol. What other “premium” cutters are out there? I’m searching for a pair of God Hand SPN-120s. Video review here explaining why they’re awesome. Not really meant for cutting metal however. Hello from Xuron Corporation! I appreciate Stuart’s review of our Model 170-II Micro-Shear® Flush Cutter and I was very interested to read the variety of comments. Your comments are important to us – thank you! Great! So what about the hardness specs of the jaws that other people are asking about? Hi –with respect to Rockwell hardness, we don’t make any secret of the RC specs for our tools. That said, this information is missing from the our web descriptions and I will correct this. The tool featured in this reveiw does have a Rockwell spec of 54-55 and as this model was initially developed for cutting leads on printed circuit boards, this hardness, in our opinion, is perfectly fine. We manufacutre a variety of cutters all with different hardness specs. Yes, the higher the Rockwell, the more durable a cutter will be but there is also a point where the steel will become brittle if it is too hard. Please feel free to check our web site as I will begin making the edits to include the harness specs. Feel free to email us at [email protected] if you have any further questions — we’ll be happy to help. Thank you Abby for your replies and open candidness. Your are correct about too much HRC, anything above 67 and you’ll probably chip the cutter in no time. It would be great if the cutters were able to come apart so you can sharpen them properly, then they would last a very long time. Correct me if I’m wrong, but it appears that they do not come apart? Abby Robey, despite the fact I am sure most will disagree with me, but thank you very much for continuing to support American manufacturing by creating Xuron tools in America. This probably doesn’t matter to most, but does matter to me. Additionally, in the years I’ve owned your products, I can honestly say I have constantly been happy with Xuron items. Once again, thank you very much for making a positive difference and creating such great tools. Abby, thank you very much for responding. Additionally, I just want to thank you for supporting American manufacturing. I realize I am in the minority with caring about country of origin as most people don’t seem to care about anything but price these days. However, I DO respect the opinions of others that have posted their thoughts here and elsewhere. But this is a two way street, as even though most don’t care about seeing other fellow Americans employed, I do. Quality and USA manufacturing aren’t always juxtaposed and that is the truth. But in my experience, I’ve had more quality USA made items than not. Again, this isn’t 100% of the time, but regardless that is my experience. Just wish others wouldn’t assume all people that care about country of origin are the same and will act the same. As time and time again, I’ve been civil with my stance and haven’t been cruel to others about their opinions either. I have a pair of micro diags – I have to pull them up. I liked it so much I ordered 3 more…it’s used moreso for people who do metal jewelry work, etc. Much better than anything else I’ve tried.